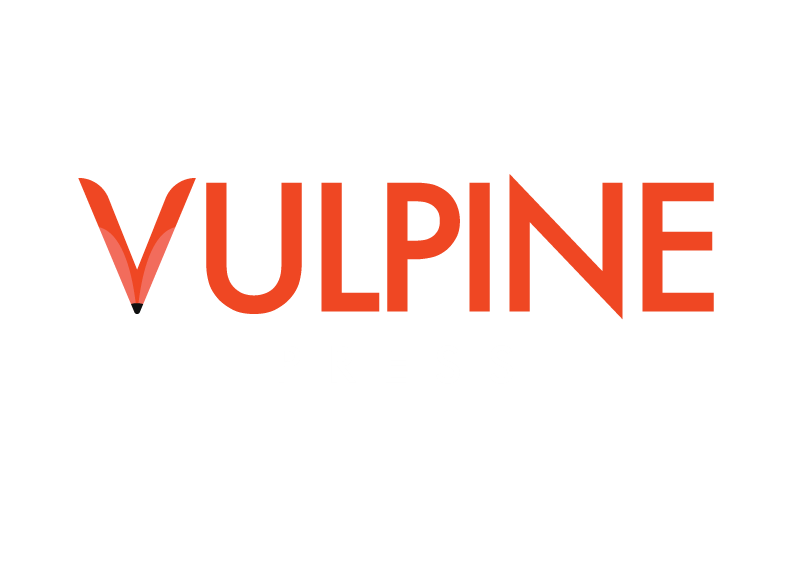 Vulpine Press was set up in 2017 to publish high quality, innovative and stylish books. We publish fiction, personal non-fiction and various titles that straddle genres. To find out more about what we look for in a submission, please visit our dedicated submissions page. We grew as an imprint from Ockham Publishing, the independent pop-science and pop-philosophy publisher, as it became apparent that there is a need for a publisher who deals with similarly new and important ideas outside of academic genres. The sheer number of interesting, innovative ideas Ockham was turning down became too much for us to bear, and as a result Vulpine Press was born. Whilst the word 'vulpine' can indeed mean 'crafty' - which would be a fine reason for a publisher to choose it as a name - this is not how Vulpine Press got its name. Vulpine is more commonly defined as being related to foxes, so as you might imagine, this means we have our name for a fairly unique reason. The founders of Vulpine spent two years prior to its formation living with an adopted cat, named Brandy. Brandy was fearful of humans, having come from a home where she must have had little human contact, and to the day Vulpine was launched she desperately avoided their contact. Brandy's way of avoiding humans - by skulking close to the ground, standing still when she thought she was seen, and not to mention her fluffy, vulpine appearance - led to her being nicknamed 'fox'. However, when she was distracted from humans, Brandy ran around their home like she was the freest and most confident creature in the world, and with a will to accomplish her desires that could not be ignored. All kinds of furniture, other creatures and floors felt the very literal thud of her enthusiasm and no matter how big the bang, she could not be stopped. In much the same way as Ockham Publishing got the name from Ockham's Razor, the principle by which the simplest explanation is often the best, Vulpine Press got the name from Brandy, the cat who could not be deterred despite her limitations. Fiction is theoretically limited in what it can teach us; it often lacks the rigour of philosophical analysis, or the robustness of scientific peer review. But, nonetheless, its reach and appeal can go well beyond that. Few of us have scoured scientific papers, but most of us have read a good book that has profoundly influenced us. This is what Brandy taught us, with her unscientific and vastly un-feline ways. And if a cat can be vulpine, so can a publisher.